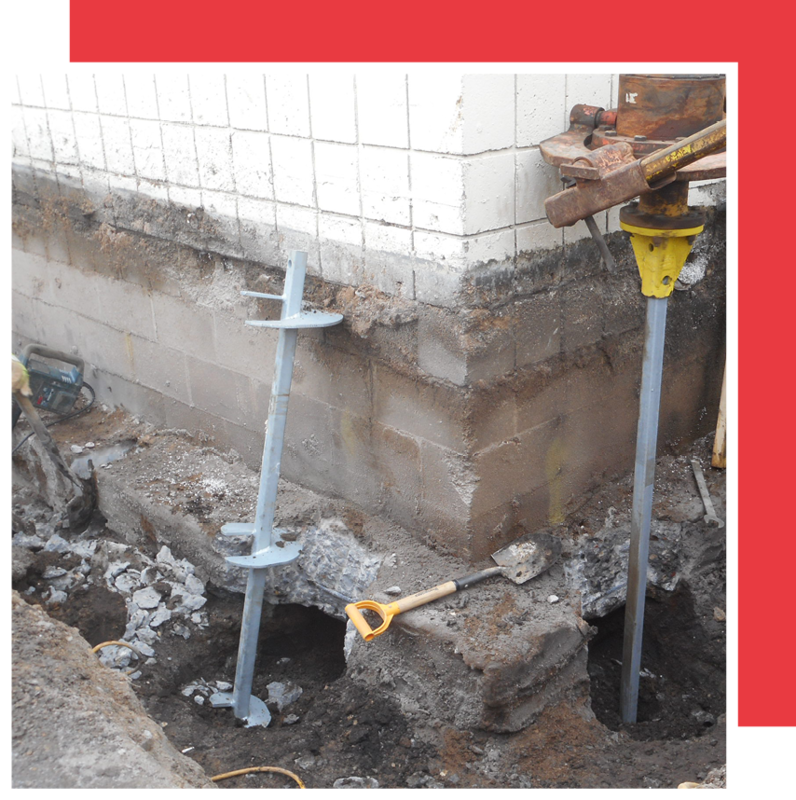 When foundations are exposed to moisture or surrounded by unstable soil, structural damage and foundation settlement are unfortunately common. From preventative new construction to repairing existing infrastructure, we are your expert in helical piering solutions. We can fix your bowed foundation walls, using carbon fiber reinforcing strips. Bowed foundation walls can be repaired without invasive structural changes, in most cases. The Reinforcer® carbon fiber strips are only four inches wide and thin as a dime. Walls can then be finished without losing valuable square footage. 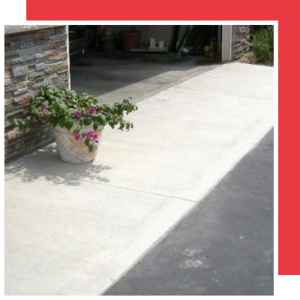 Concrete aprons help stabilize the area where your driveway meets your garage floor. During the construction of your home, soils are excavated and backfilled, often without proper compaction. It can take 20+ years for soils to settle completely in this "backfill" zone. Water freezes, causing driveways to heave and settle unevenly, causing damage to the foundation wall during the freeze/thaw cycle. There are many factors that cause foundation damages and cause foundations to shift, bow, or settle. No matter the cause, our teams have several methods for repairing your walls and foundation from further damage. Helical piers are circular or square shaft steel piles with helical bearing plates attached. Instead of being hydraulically vibrated into the ground like a push pile, they are gently rotated into the ground using a high torque hydraulic drive head. We can fix your bowed foundation walls, using carbon fiber reinforcing strips. 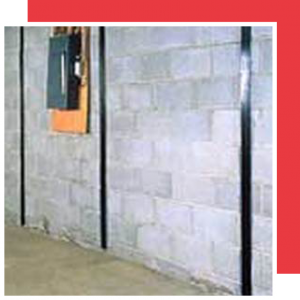 Bowed foundation walls can be repaired without invasive structural changes, in most cases. The Reinforcer® carbon fiber strips are only four inches wide and thin as a dime. Walls can then be finished without losing valuable square footage. The Reinforcer® is a patented system developed by professional engineers. The carbon fiber material is ten times stronger than steel and is virtually impossible to stretch. It can be used to repair concrete, cinder block, or poured foundation walls. Concrete aprons help stabilize the area where your driveway meets your garage floor. During the construction of your home, soils are excavated and backfilled, often without proper compaction. It can take 20+ years for soils to settle completely in this “backfill” zone. Water freezes, causing driveways to heave and settle unevenly, causing damage to the foundation wall during the freeze/thaw cycle. When this damage occurs on a block foundation, it is common to see a void far below the surface opening. Many times when installing a new concrete apron, foundation repair or reinforcement on the garage foundation wall is necessary to ensure proper installation of the new apron. Our team installs a rock and gravel base along with rebar for reinforcement. We pour concrete aprons with a minimum strength 4,000 PCI concrete and finish the concrete with a curing sealer.